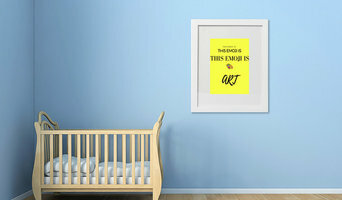 This Emoji Is" Is an Interior Artwork Design Company Creating Fun & Exciting Artwork for your Home Space Inside & Out. Huntington House was founded in 1982 with the intention of creating a world-class custom-upholstery company. Being a family owned business, we hold ourselves to the highest standard of excellence, and we take no short cuts. We offer an eclectic collection of beautifully designed fabric and leather custom upholstery, created with the ever-changing needs of our customers in mind. We build furniture to fit any size person, any size space, and any style category. With thousands of frame combinations to choose from, you are sure to find exactly what you are looking for. Mary Jane Shoppes has been providing the Charlotte area designer furniture, eclectic lighting, home decor pieces and wall art for over 10 years. 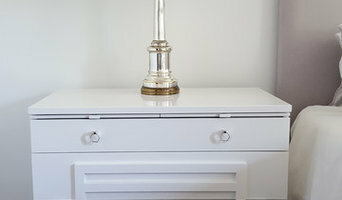 We also offer furniture refinishing. Visit us at one of our three locations. Manufacturing a fun new kids chair that folds into a cube for stacking out of the way, or for use as an end table with an optional acrylic tray. We are a group of designers committed to creating one of kind, stunning spaces for our clients. Our design work is completely complimentary. While we treasure almost all different styles, our look is best described as a modern cottage. We are rooted in the Southern, little white cottage of decades past, but we love mixing in modern pieces to bring this idea into the realm of contemporary design. We're not afraid of color and love mixing the old with the new! We also have two retail stores and a large online business which means we have unparalleled relationships with manufacturers and craftsmen. 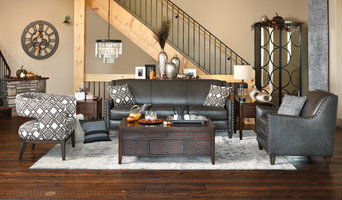 Since 1998 - Home furniture including leather furniture & sectional sofas that are made in America - factory direct From NC! Clubfurniture offers exquisite, hand-crafted upholstered furniture at savings up to 40%. Beautiful leather, fabric, and slipcover upholstered furniture direct from North Carolina for hundreds and in some cases thousands of dollars less than retail. Clubfurniture's upholstered pieces are bench made to order by master domestic furniture craftsmen and shipped direct to your door from North Carolina. Only the finest components are used including select kiln dried North American hardwood frames, guaranteed "no-sag" spring systems, plush cushions, and durable coverings including full top grain Italian leathers and 100% cotton fabrics. Clubfurniture has one of the largest selections of styles and colors online and one of the most comprehensive warranties in the furniture business. "If you are looking for a house painter or commercial painting contractor, you want a painting contractor to deliver what he promises. Since 2002, CertaPro Painters of South Charlotte has been delivering quality exterior painting and interior painting satisfaction. We are ranked in the top 5% of Charlotte painting contractors for customer satisfaction." Chaddock designs and crafts fine furniture from its headquarters in Morganton, NC, the traditional heart of the American furniture business. We export furniture made in America the world over, partnering with some of the most renowned names design: Larry Laslo, Mary McDonald and David Easton. Chaddock's range of products is amazing AND we are able to customize to professional designer's specifications. Chaddock is, indeed, "finished to perfection." McKinley Leather of Hickory, Inc. is a company built of craftspeople. We reserve the right to modify our product and its components as necessary to provide the most aesthetically pleasing and stable piece of furniture possible. Our specifications are guidelines, but we must rely on our educated judgment each time we build a piece of furniture. We absolutely guarantee that we will not modify any product solely to save cost. One of a kind, handmade items for your home. We can create almost anything you dream up. We come with a promise of quality, dedication, and durability. We also can bring back to life pieces that may have been forgotten or just need some TLC.